So I thought I’d give a little update on how this pregnancy is going. 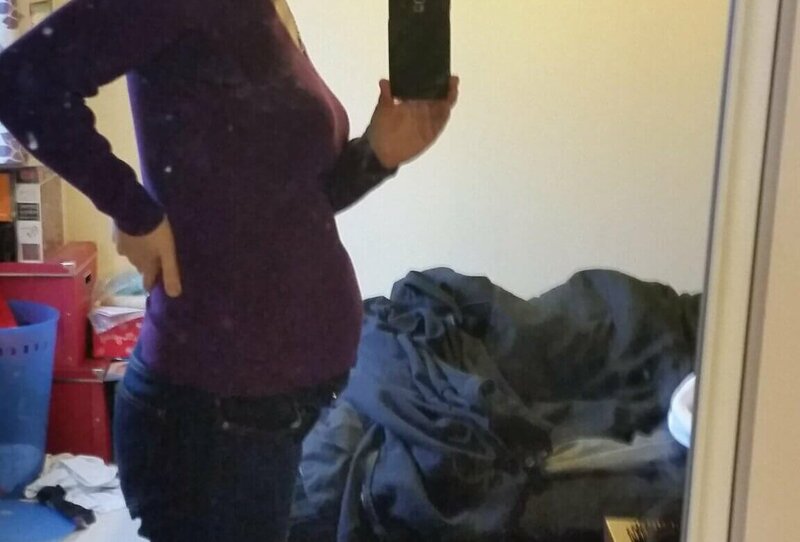 This is Blueberry at 23+5 weeks. The idea is you’re meant to fill these out every week so you have a nice memory of the pregnancy, but hey this is me, I’m never going to remember/get round to filling one of these out every week! Total weight gain: up 4 lbs! Finally putting weight on!!! Best moment this week: Erm…. three day weekend!!!! It’s going to be a shock going back to a 5 day working week! Miss Anything? Alcohol – new years eve isn’t quite as fun with soft drinks! Rare steak and pate too! Movement: She’s started kicking a lot more recently. She goes absolutely mental when we play her some music, mainly Einaudi….she wasn’t too sure when we played her Bonnie Tyler, much to Chris’ disappointment!! Food cravings: Nope. I’ve started eating a few more sweet things now, but still much prefer savoury – give me crisps any day, all day! 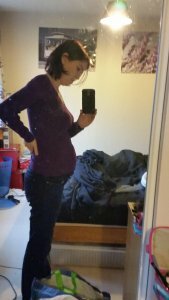 Anything making you queasy or sick: Thankfully not, not had any queasiness or morning sickness at all through this pregnancy which I am so thankful for! Gender: Girl! Just about got my head around this now, but I still can’t help but look at the boys clothes section when I go in a shop and dream! Wedding rings on or off? On, just about! Waved to a friend as they were arriving on New Year’s Eve and both my engagement ring and wedding ring came flying off in the garden!! Panic! Happy or Moody most of the time: Happy most the time, only moody when certain people piss me off, but that was the same before I was even pregnant!